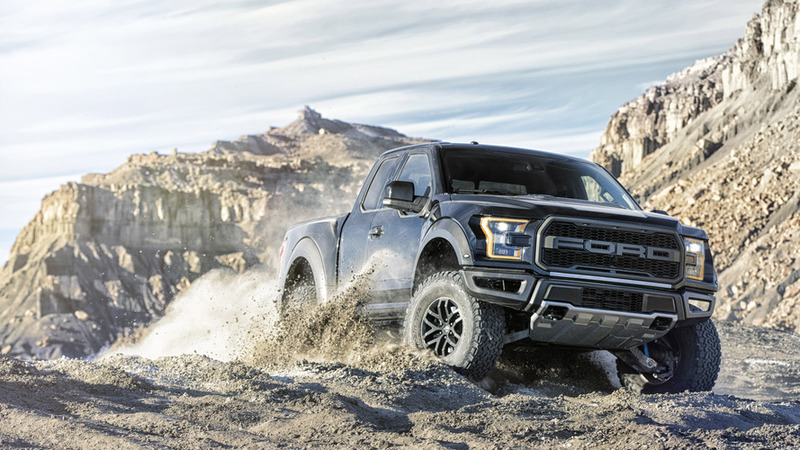 Amongst the latest Raptor's driving modes is one tailored specifically for desert hooning. Ford is clearly committed to the hooning cause. It gave the Mustang a line lock, the Focus RS a drift mode, and now the 2017 F-150 Raptor has a Baja setting among its drive modes. Select it and the transmission locks into high-ratio four-wheel drive, the Advance Trac traction/stability control system eases off to its least intrusive setting, throttle response sharpens, the gearbox shifts faster and holds gears longer. All of which is the recipe for desert hooning. Keep the gas pinned and it slides around like a Trophy Truck, as you can see in the video above. 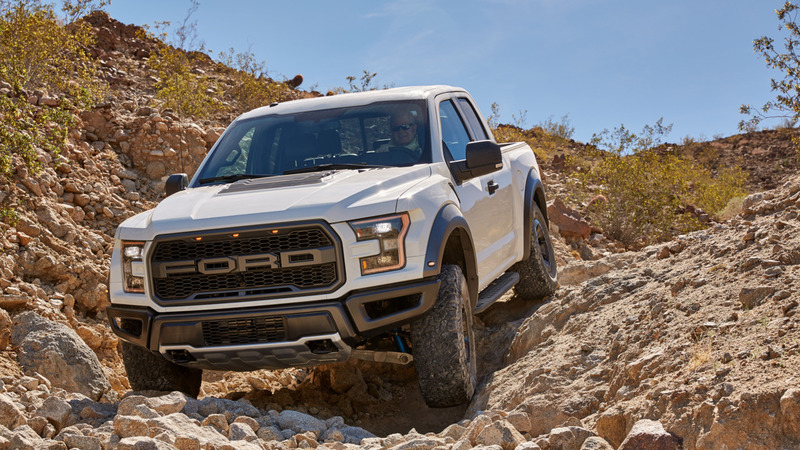 Alongside the usual Normal, Sport, Weather, and Mud/Sand settings, the Raptor also has a Rock Crawl mode. It engages low-range, winds Advance Trac back, optimizes throttle and transmission settings for better control and activates the front camera. So you can see exactly how big a drop you're about to go down. Even if you don't actually want to know. 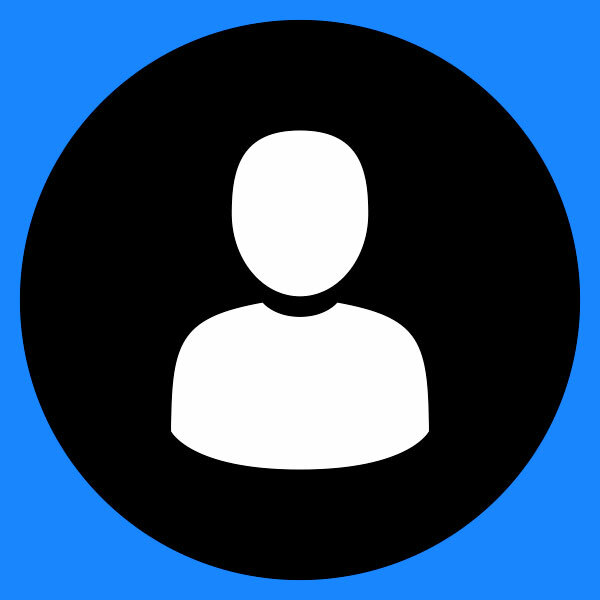 Drivers can tune the various settings to their own preferences, as well, or switch them off entirely. Which would be brave, as the Raptor won't be short on power. Ford has yet to reveal exactly how much power its 3.5-litre EcoBoost V6 will produce, but a figure somewhere north of 500 horsepower is expected. A ten-speed automatic gearbox dispatches those rampaging ponies to all four wheels.